With Thanksgiving rapidly approaching, I wanted to post some sort of ‘traditional’ seasonal recipe turned healthy. Now, when it comes to dessert for Thanksgiving, most people think pumpkin pie, but I happened to grow up on an orchard, (and have a father who despises pumpkin other than the ones that are carved on the porch), so for me, apples are the tradition! 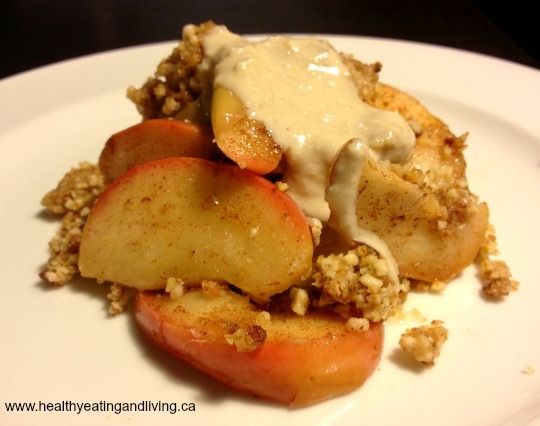 This cashew cream topping was inspired by Joyous Health, a fellow nutritionist who also has some delicious recipes, and I have to say it gives it the perfect touch. For the cashew cream, blend cashews on high speed in the food processor until you start to get a liquidy consistency. You will need to add in water whlie its running and keep adding water until you get the creamy consistency you want. Mix in vanilla and maple syrup and blend one more time. 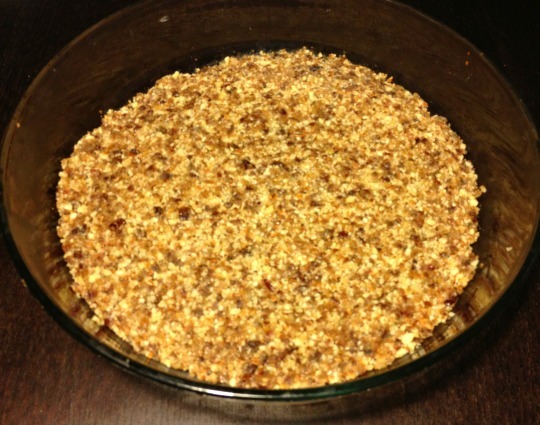 Don't worry if the crust falls apart when you cut it, as after all, it is a crumble!